IRS has announced that it successfully opened the 2019 tax-filing season on Monday, Jan. 28, 2019, as planned. The announcement includes other information, including the projected timing of refund payments. Projected timing of refund payments. IRS expects the first refunds to go out in the first week of February and many refunds to be paid by mid-to-late February like previous years. IRS expects to issue more than nine out of 10 refunds in less than 21 days. However, it’s possible a tax return may require additional review and take longer. IRS’s Where’s My Refund has the most up to date information available about refunds. The tool is updated only once a day, so taxpayers don’t need to check more often. 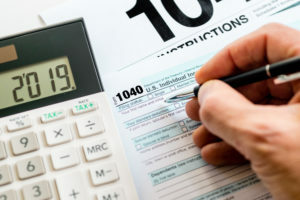 IRS also notes that refunds, by law, cannot be issued before Feb. 15 for tax returns that claim the Earned Income Tax Credit (EITC) or the Additional Child Tax Credit (ACTC). This applies to the entire refund—even the portion not associated with the EITC and ACTC. While IRS will process the EITC and ACTC returns when received, these refunds cannot be issued before Feb. 15. Similar to last year, IRS expects the earliest EITC/ACTC related refunds to actually be available in taxpayer bank accounts or on debit cards starting on Feb. 27, 2019, if they chose direct deposit and there are no other issues with the tax return. “Where’s My Refund?” will be updated with projected deposit dates for most early EITC and ACTC refund filers on Feb. 17, so those filers will not see a refund date on “Where’s My Refund?” or through their software packages until then. IRS, tax preparers and tax software will not have additional information on refund dates, so these filers should not contact or call about refunds before the end of February. For more information on filing tax returns in 2019, contact the tax professionals at Larson & Company today.